World AIDS Day takes place on the 1st December each year. It’s an opportunity for people worldwide to unite in the fight against HIV, to show support for people living with HIV, and to commemorate those who have died from an AIDS-related illness. 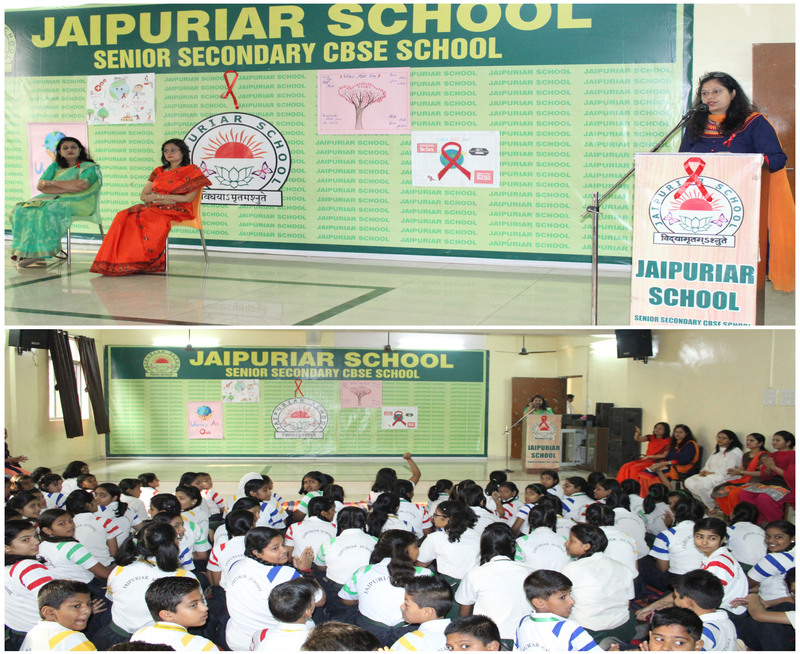 The World Aids Day was observed in Jaipuriar School Sanpada. 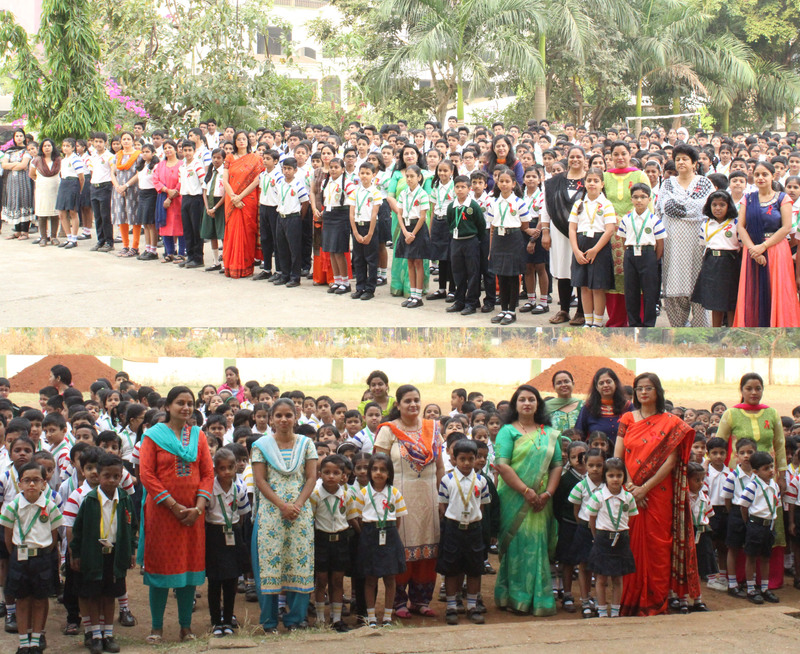 The day started with a special assembly graced by the Chief Guest DrSujataKhandekar along with the school Principal DrRashmirekhaSaha. DrSujata enlightened the students with the causes and symptoms of AIDS and preventive measures that need to be taken to check the ailment. 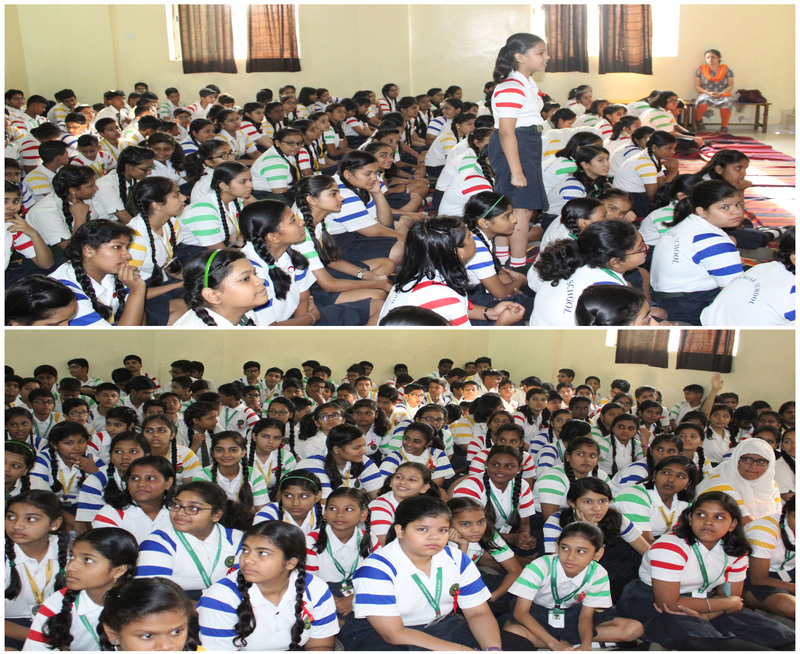 The students were also sensitised that AIDS is not a social stigma and does not spread by just touching. The AIDS affected persons need to be provided due human compassion. The students were pined red ribbons with the message that it is the universal symbol for people living with HIV/AIDS. 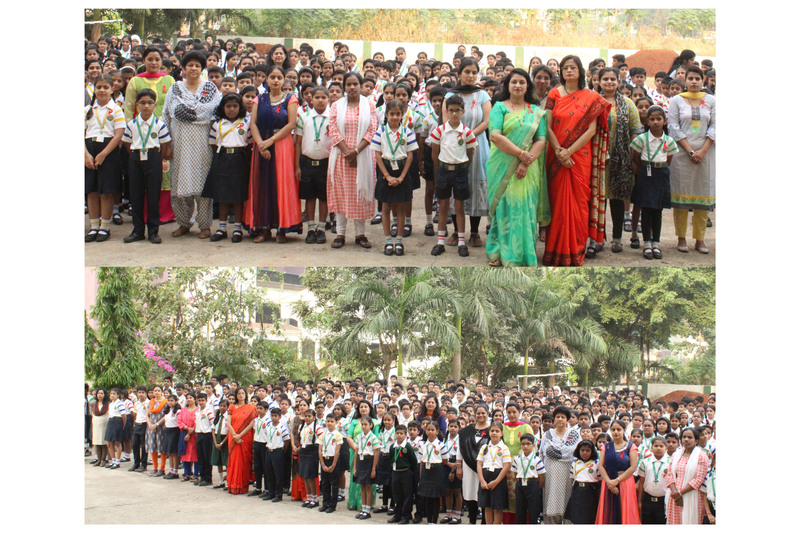 The special screening of the Movie “PhirMilenge” was also done by the school for the Senior Secondary Students for the awareness and Importance of World Aids Day.